If you are in the area around Pactola Lake and would like a moderate hike with plenty of solitude and a good summit view, Scruton Mountain might be a good option. 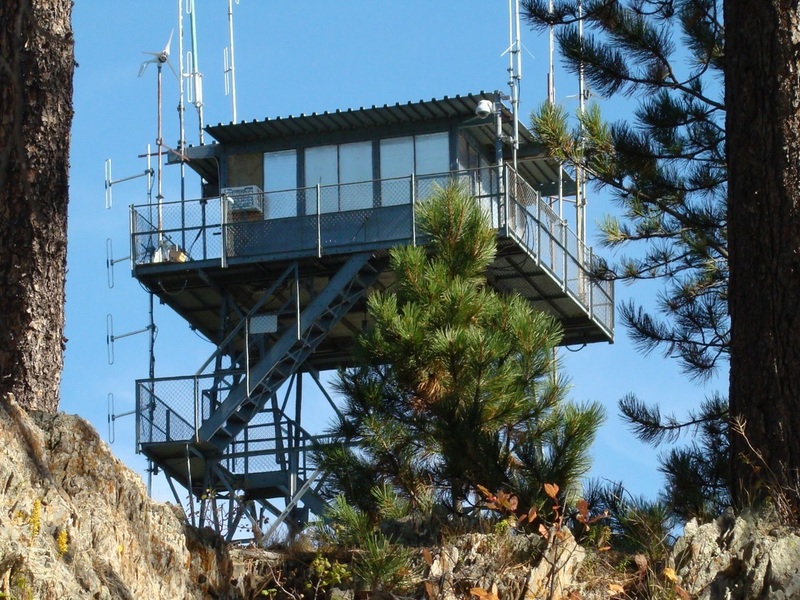 Most Black Hills residents are not that familiar with the mountain, but are more familiar with the old fire lookout tower at the summit, named the Seth Bullock Lookout. 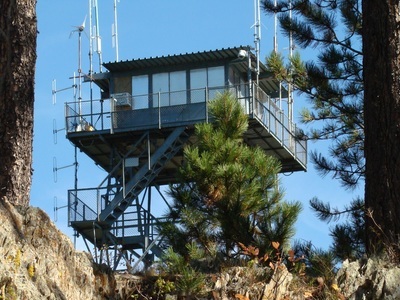 Remnants from two prior fire lookouts still remain in the summit area. 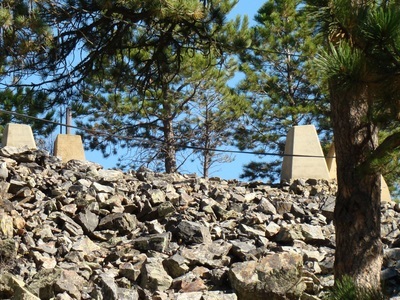 The route to the summit is an old forest service road that is normally blocked to all vehicle traffic. 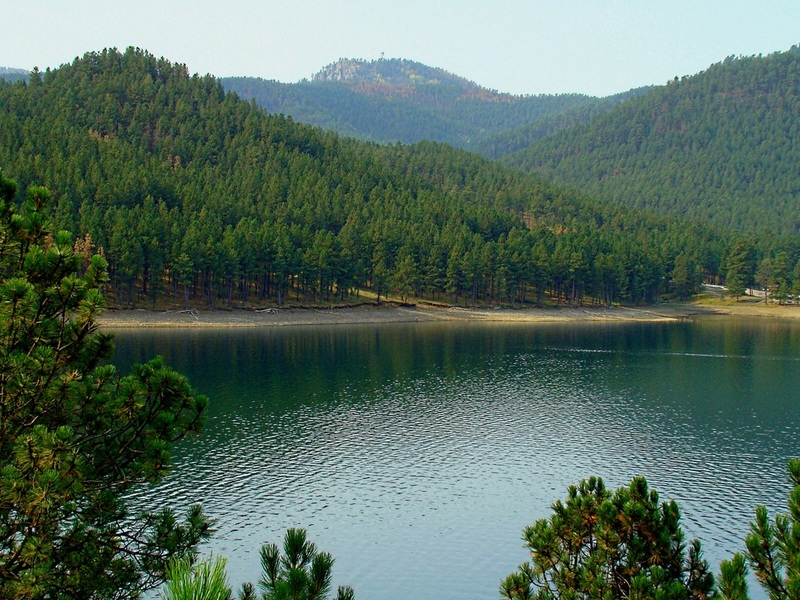 The narrow road has a steady grade, and though a little bit rough in places, it still offers a good 1.5-mile hike through the thick forest on the mountain. 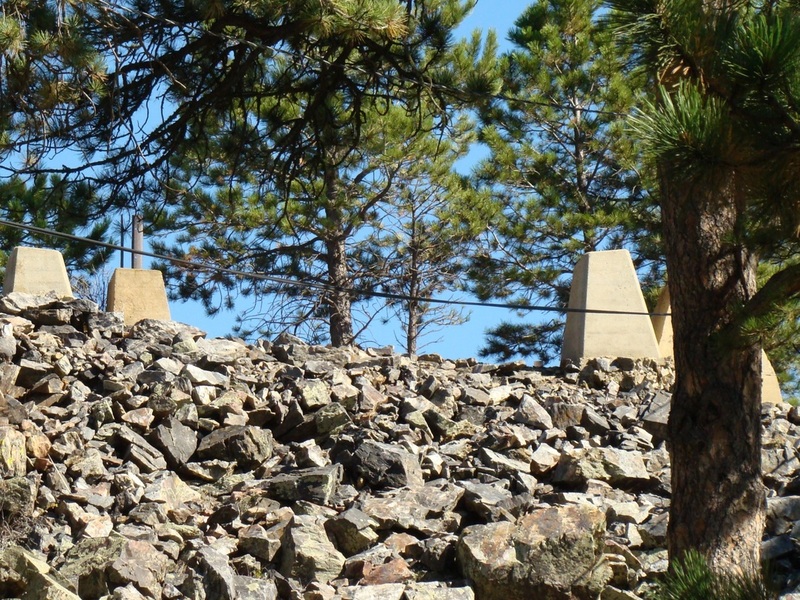 From the trailhead to the summit you will gain about 680 feet in altitude. 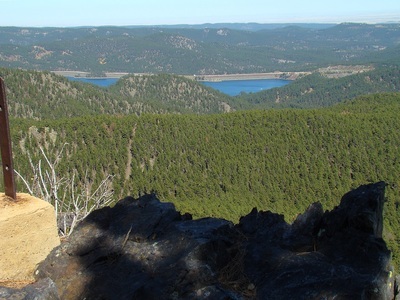 Once at the summit, you will be treated to great views of Pactola Lake and many of the peaks in the region, including Custer Peak and Black Elk Peak. 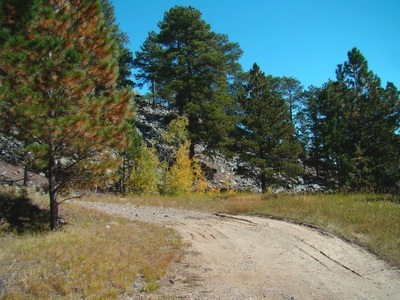 Scruton Mountain may be accessed by traveling north on Highway 385 from Hill City about 9 miles to Custer Gulch Road (FS258) and turn left (west). Or, if you are coming from Pactola Lake, on Highway 385, it will be about 2 miles south to Custer Gulch Road. Travel west on Custer Gulch Road less than a mile until you come to a "Y" in the road, where you will need to turn onto Edelweiss Mountain Road (Road FS251). Follow this road until you come to a gated road on the right. This is the trail/road to the summit of Scruton Mountain. It shows up on some maps as FS156. Parking is a problem here, since both roads are kind of narrow and the gate sign says not to block the summit road. 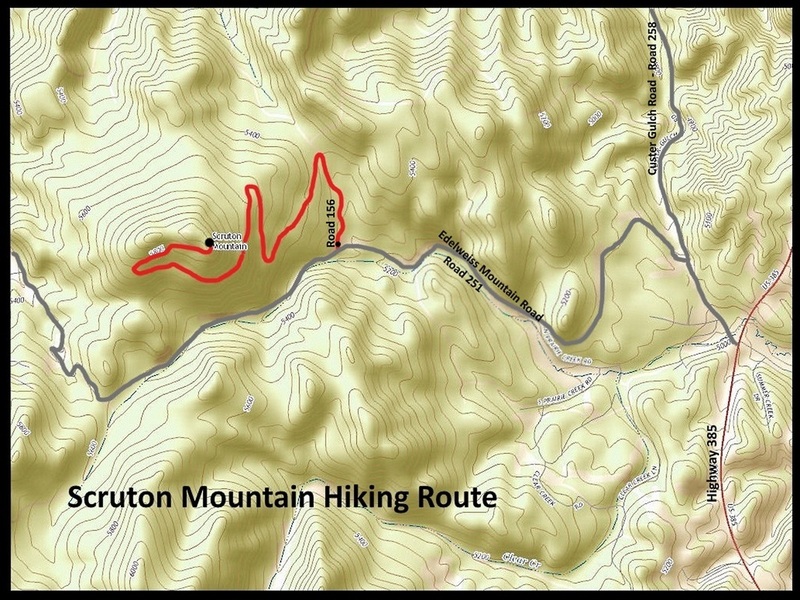 Fortunately, not many people hike this trail/road, so if you park in the corner of the intersection, out of the way, you will probably be OK. A Scruton Mountain route map is included in the photos below.